1. What Is Angular JS? In short, Angular JS is a platform for building websites that take a lot of the extra steps that were once needed. IT helps people organize their files, it helps them layer data, and it gives them the chance to instantly update or edit something without any worry at all. Angular JS makes everything just a little bit simpler, and all those things are listed below. Everyone who is building a website simply does not have enough time in the day to get all their work done. They need to cut as many corners as they can, but they cannot do that without lowering the quality. Angular JS takes out all the middlemen, and people who are using this platform can halve many of the tasks they must do. They do not need to learn their designs in the .NET world waiting to test them, and they do not need to finish up a task before checking their progress. Progress can be seen instantly, and the designer can move immediately to their next task. Angular JS has been proven to save time for every one company that uses it, and it has the stamp of approval from firms like Google. You want to model your own business model on companies that have been successful, and using Angular JS is just another way to make good decisions. Your site can be built for less time and money. Data for any website must be managed carefully because it is that data that people are looking at when they come to the site. The designer who is constantly trying to insert files into a website can put all their files in one place and attach them to the correct parts of the site. They do not need to go through extra steps just to get their files ready, and they can check all those files on one page in seconds. This speeds up the process, and it helps the programmer get on to other things that must be done. Data on any website must be changed and adjusted constantly even after the site goes live. You could have other people put on the project if they are simply managing your site, but they are wasting time every day if they cannot find your files. You can solve this problem by using Angular JS because even a novice can go into Angular JS and find the files they need. Templates in Angular JS are perhaps the most helpful thing that the platform provides. There are templates that can be used as a starting point, and an experienced programmer can adjust these templates because Angular JS is open source. It is powered by Google, and that means that you will get credit for any new templates you create. You could show off your design skills, and you will leave a little piece of yourself with Angular JS when you are working on a new project. The infinite adjustability of the templates that you find allows you to build a website that looks unique before you start to fill it in. Many programmers have wasted a lot of time going back and undoing their work because they must adapt everything to a new idea they had. In Angular JS, the designer can simply change their template and move on with their work. Angular JS adjusts to small changes like this, and it does not stop the designer from doing their job. Projects often get held up with the design platform is not that advanced, and Angular JS solves this problem. Security is one of the biggest concerns for every website in the modern day. Everyone lives in fear of being hacked and having all their information posted online. The people who want to improve their security do not need to hire an outside firm to help them. Security in Angular JS helps make every website harder to hack, and it protects the coding that sits at the heart of the site. You can protect your work before it is completed, and you can be certain that your ideas have not been stolen. You can encrypt all the things that you have done to build a site for a customer, and you will have the utmost confidence that you are not losing all the work you just did to an intruder. Angular JS can even give you alerts if someone tries to get into your files or projects. You can scale your work with Angular JS to fit the size of the site you plan to build. Scaling a site is very important when you want to make a small idea bigger or a big idea small. You can help a website grow if it is time to expand for a client, or you could use the Angular JS platform to make a smaller version of your website for someone else. There are many clients who come to you asking for something that looks like a particular company’s site. You can bring that project down to their size, and you can continue work as you would have normally. There is no need to re-code everything that you have already done because the site must double or triple in size. The platform allows you to choose the expansion size, and you can blow everything up to make it easier to use in the current day. Pricing for Angular JS is very low, and you have the access to all the open source options that have been created. The web development company that you have chosen does not need to spend more and more money on their project because they are constantly trying to use new features. They can get to the features they need in just moments, and they are not charging you labor costs just to sit around and wait for a payment to go through on a new feature. Your developer can plow ahead with reckless abandon, and they will get your custom app or site back to you faster. Testing features in the app are very helpful because you do not need to go to yet another company and pay for testing. The end to end testing in the Angular JS platform allows you to see where you are going, what you have done, and save time. You can instantly solve problems that come up in their testing plan, and you will have a report that you can show to other people if they want to know why the site or app did not work the first time. 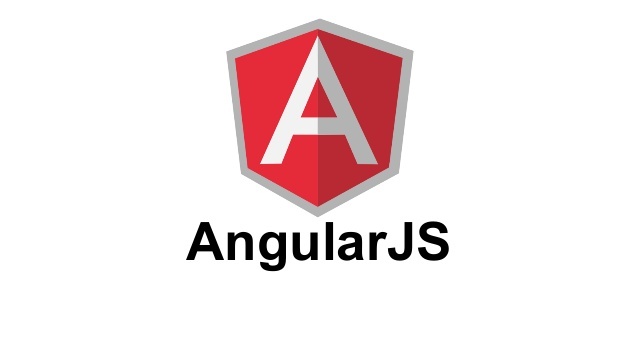 Angular JS can be used for both apps and websites. You are trying to make a front-end product that will welcome your guests, make them feel as though they know what is going on, and save them time. You can use Angular JS to make both your website and app, and you can make them look as similar as possible so that you do not confuse your customers. You never want to have such a large disparity between the two that people are confused by how your site and app look. Front-end Development is needed for every company on the planet including Google. You are much better off using Angular JS because that is what Google has put to work making their website. They have one of the simplest and easiest websites and apps to use, and it was all created in Angular JS. You can turn to your developer to ask for Angular JS when they get to work, and you will get your website or app back much faster. You will spend much less money, and you will avoid the glitches that happen with other programs. When it comes to marketing yourself on Facebook, you have to do it in a way that engages people. Saffron Edge is a leading facebook marketing agency based in New Jersey, USA. If you’re not keeping your audience in mind when you’re creating content for Facebook, you will fail to make an impact on your audience. Stay carefree as we know what makes people tick on the platform.